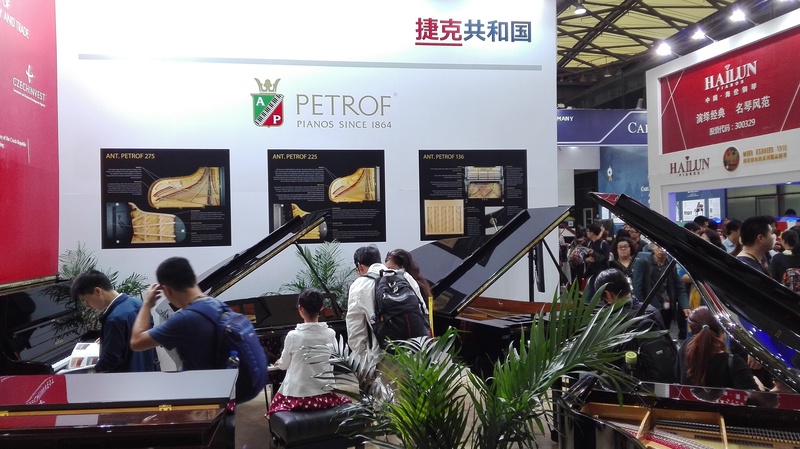 Second major international exhibition of this year is in the books for PETROF. 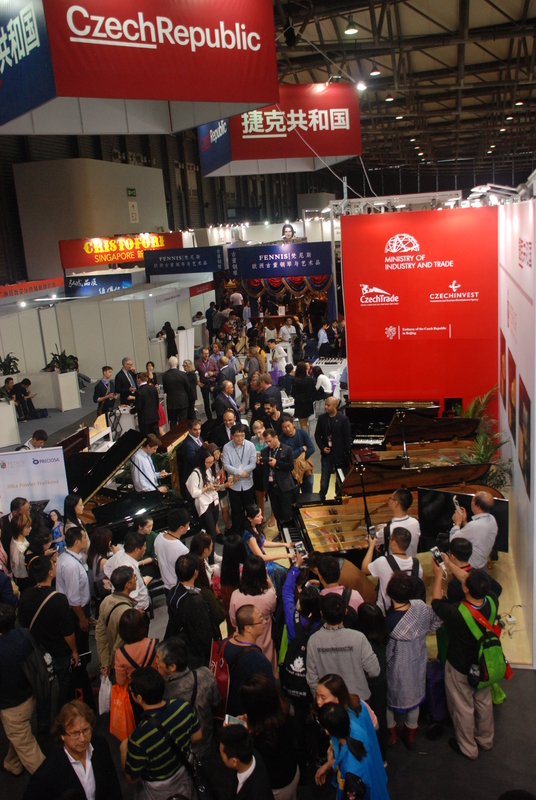 Music China 2016 took place from 26 - 29 October 2016 in Shanghai, China. Our booth, which we shared with several other Czech musical instruments makers, members of the AVHN, once again enjoyed a lot of interest from the exhibition’s visitors. 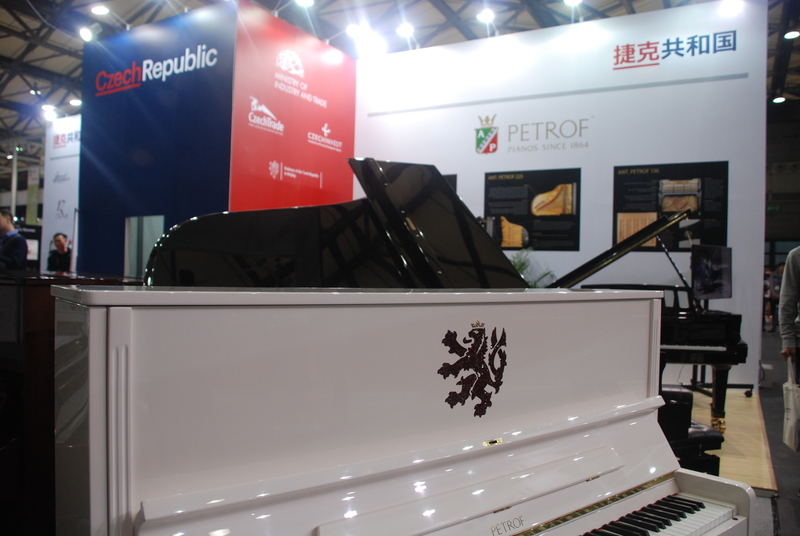 Center of the attention was undoubtedly our white upright piano P 125 G1 decorated with PRECIOSA crystals, depicting a Czech lion on the piano’s front frame. 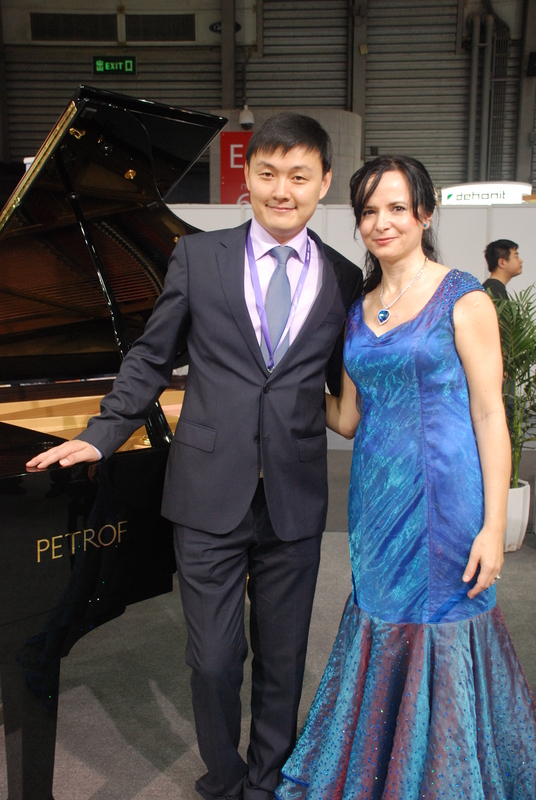 With the support of this traditional brand a tour of the Czech pianist Jitka Fowler Fraňková was organized counting 12 stops around China. This extraordinary pianist also performed her set every day at our booth with great success and a great deal of admiration from the audiences. The experience was not only musical, but also visual. 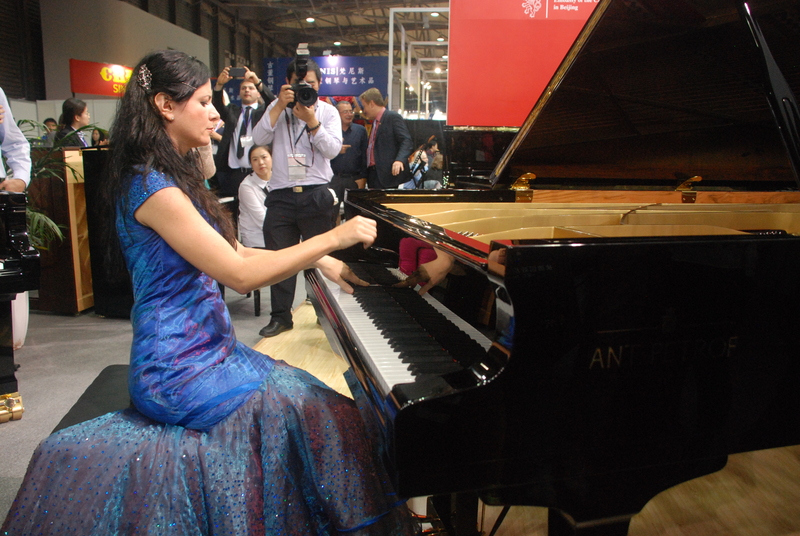 The pianist wore breathtaking dress decorated with staggering 16 000 glass stones. Furthermore, our business partners clearly enjoyed our new upright piano P 122 H1. Our premium brand ANT. PETROF played a dominant role at the booth. After the exhibition came to its end, both of our grand pianos and the upright piano found its new home in the Xiamen University music department. Our instruments have already found many admirers there, for which we are very happy. New edition of our catalogues and website was also introduced at the exhibition. The amount of positive feedback we have received makes us very happy and we are confident that our brands PETROF and ANT. 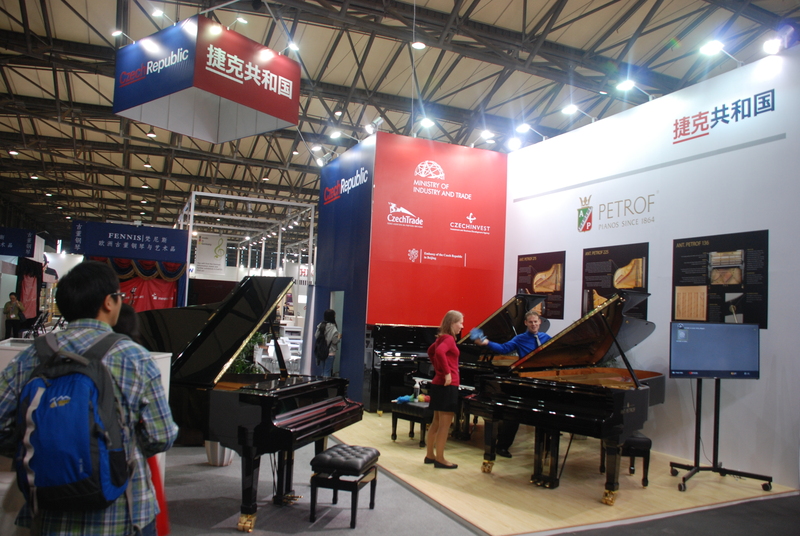 PETROF will continue to grow in popularity worldwide. We would like to thank everyone who is a part of the success of our instruments. Our thank you also goes to our business partners and we look forward to our future cooperation.